At Magnus, we believe curiosity is the root of exceptional learning. Hence we encourage our budding geniuses to wonder aloud, ask questions and probe through everything. We have aimed to transform your child's school into his/her experiment zone, where a plethora of facilities help them nurture the curiosity in them and make new, fun discoveries every single day! The full-fledged library at Magnus propels the learner to a world of exploration and excitement with a vast variety of books ranging from story books, poetry books, novels to encyclopaedias. It also showcases a lot of activities being done with the children like book reviews, book mark making, Reader of the month, etc. It is a place to spend most of your quality time and become a lifelong learner. The purpose of a language lab is to involve students to actively participate in language learning exercises and get more practice than otherwise possible in a traditional classroom environment. The primary motive behind such an initiative is to augment the oral comprehension skills of the children through Specialized activities in the lab. > Listening practice by headphones. Mathematics is a subject which is easy for the ones who like it and a nightmare for the ones who don't. To turn this nightmare into a sweet dream, we have included Math Lab in our curriculum. It basically focuses on developing interest in Math and understanding basic concepts and formulas through a paly way method. 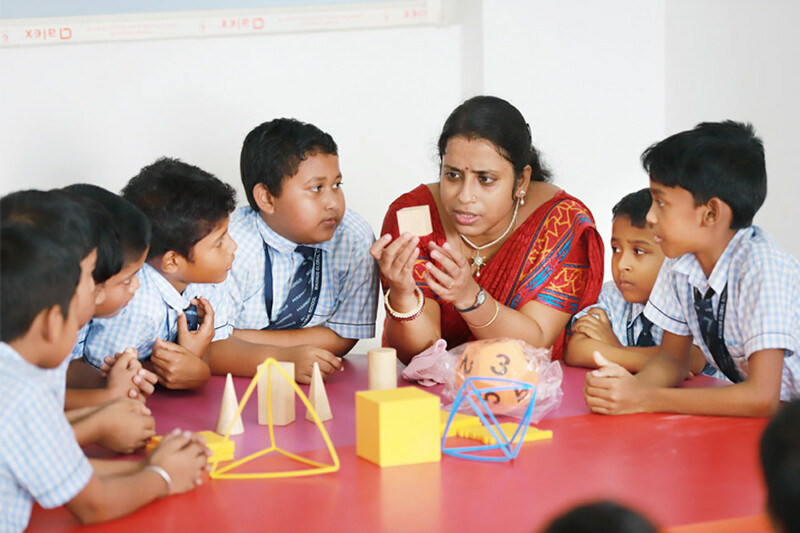 The Math Lab is a an activity centre with various Math TLMs and interactive materials that helps in learning Maths easily . The Computer Lab at Magnus not only introduces the children to the world of Binary Codes but also enables them to appreciate the hardware aspect of technology and its applications. Introducing children to the fast changing world of Information Technology and enabling them to appreciate the advancements and achievements in the field of computer science is the primary goal of Computer Lab. The world today is going completely digital and to keep pace with that, our students will have access to this hi-tech Computer Lab where they can learn the intricacies of the virtual arena from the very beginning. Robotics lab to peek into the world of artificial intelligence. Robotics as a field is a culmination of science and math, it helps students observe scientific concepts in action when they build robots and programming them using proprietary software. > Culmination of science and math which helps students observe scientific concepts in action. > Students build robots and programme them using proprietary software. 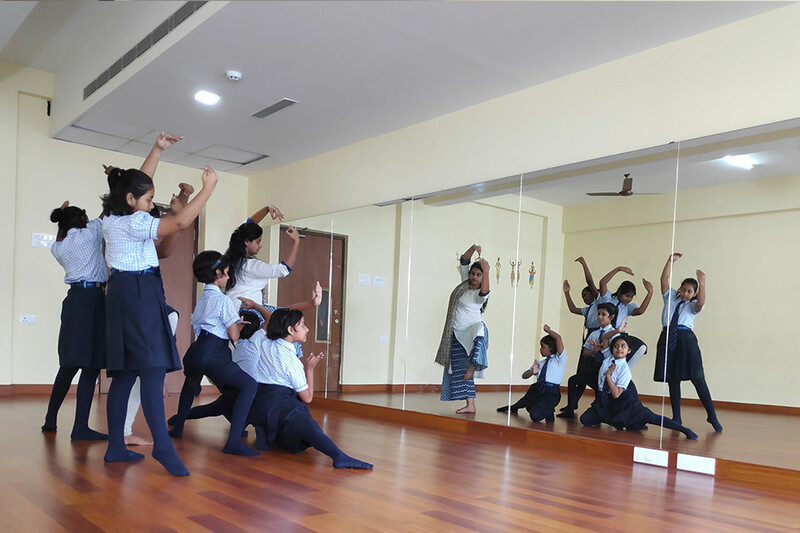 The Dance Studio is operated by a full time dance faculty, who inspires children to dance gracefully on various styles. 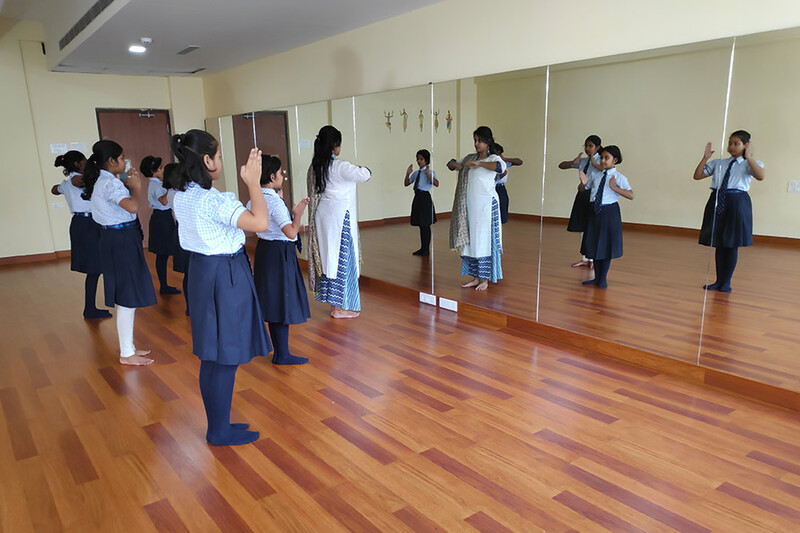 Equipped with the most modern facilities, our spacious dance studio is dedicated for the arts of rhythm and theatrics. The dances are choreographed and prepared for assemblies, special celebrations, functions, etc. Each and every child is encouraged to participate in the dance classes. Musical abilities are a boon to many and researches prove that it also helps in learning better. To ensure the children's overall growth, we expose them to a variety of musical experiences ranging from instrumental to vocal. The interest in music is being developed and nurtured to its capacity by our full time expert faculty. Art is a way of expressing one's inner feelings. 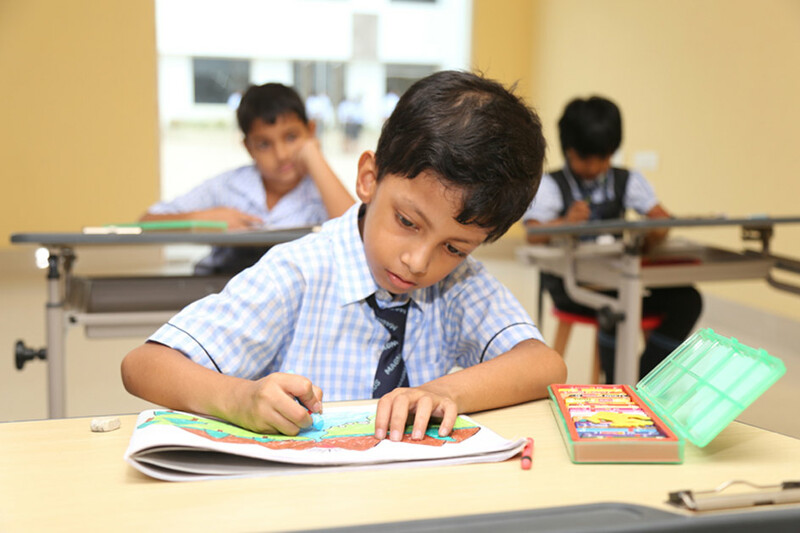 At Magnus Global School, we ensure that every child gets engrossed in the Art and Craft activities. The students develop a sense of perception, aesthetics as well as original thinking through art and craft lessons and projects designed as per the learning requirements of the students. We also conduct a lot of Art Competitions to motivate and inspire our young Picassos !